It is a must have accessory, and a phone that is probably the most famous in the world. The iPhone 5 needs no introduction, and the Apple logo that is proudly stamped on its back has become synonymous with vogue popularity, and market excellence. 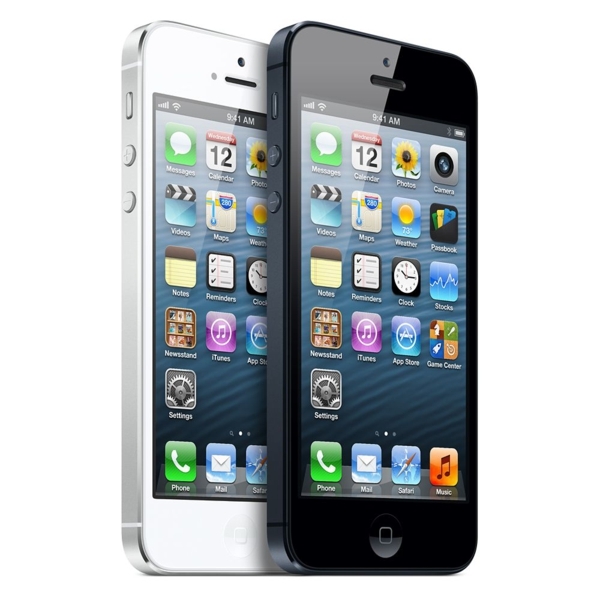 Whether it’s black or white the iPhone is instantly recognisable wherever it is seen. Apple have not sat back and allowed their success to just happen; they have driven it themselves with innovation. This article will look at some of that innovation, and break down the marketing language in order to allow you to better understand your next purchase. One of the main things that Apple will tell you about when promoting iPhone deals is that the 4” Retina Display. They’re really proud of it, but unless you dig deep into the depths of the internet you’re unlikely to know exactly what a Retina Display is; that’s where this article will help you out. The Retina Display refers to the density of the pixels on the screen. Apple have fit so many into such a small space that they claim that the human eye can’t see the individual squares. That is when you’re viewing it from a normal viewing distance whatever that may be. Basically it means that the picture won’t be pixelated because you can’t see the pixels. Good news if you’re looking for a super clear viewing experience. Obviously when a new iPhone deal comes out the manufacturer wants it to be the best it can possibly be. Apple have released the iPhone 5 and powered it with their very latest chip. The Apple A6 chip is their own version of the ARMv7 not that that is important to most of the population. All we need to know is that the Apple A6 is at the top of the range; boasting super fast speeds, greater graphics performance, and even a longer battery life. Apple have pointed out that the iPhone 5 has the chip on their product page. It’s a bit like bragging, but it’s a top piece of hardware so they should be singing its praises. Apple Lightning sounds like something pretty flash (pun intended), but really all the name refers to is the new cable that comes with the iPhone 5, and other 5th generation Apple products. It is a power and data transfer cable that has fewer pins than the original, and can be inserted either way up. That’s about it really; there isn’t much more to the cable. Apple have been accused of designing it so that people who want to use their newer products have to buy their newer cables. That may be the case, especially when you consider how it works inside. It has a sensor that regulates the current based upon which way it has been put into a device; a pretty cool feature, but some have suggested that it is also an authentication device. Apple have included a feature that can tell whether accessories are official Apple products; slightly sinister there. Of course being an iPhone there are many more little features which make the brand a leading one. There is also a lot of language used by Apple that newcomers might find a little difficult to understand, but because this is the 5th generation most of us will be familiar with most of the terms. Apple will continue to innovate, and so expect more new words to be thrust into common usage. Sam Jones, the author, has been looking into iPhone deals for his family so they can all stay in touch more readily.